House calls and home health care is the future of medicine. Dr. Dennis Timko is a podiatrist in the St. Louis area who has provided outstanding foot and ankle care to patients for 10 years. 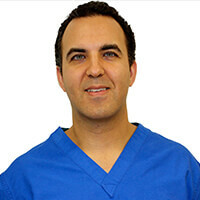 He has provided home care and house calls (Podiatrist home visits) to patients for 5+ years and has reestablished himself as being one of the few home care or house call doctors in the country that provide private home care visits. General medicine and specialists including podiatrists home care is the future of medicine. Here’s an article I found in the NY times that discuss the future of medicine coming from house calls and that it will save money for both the government and the doctors. With the pending changes in Healthcare in America, Dr. Timko feels that treating patients in there homes will be the wave of the future in health care. “I believe that doctors in big groups and large hospital practices will begin to realize that the quality of care will decline when Obama-care begins next year in 2014, due to adding 43 million more insured patients and declining reimbursements, doctors will have a hard time keeping there practices open.” Join in to Dr. Timko’s podcasts on healthcare in the US. Home visits or house calls will be a nice touch for patients that can’t leave their homes and need quality care in the comfort of their own home. Podiatrist home visits or house calls will only be done on Fridays pending the doctors schedule. Appointments will either be between the hours of 10am-1pm or 1pm-4pm. Please call our office for an appointment or you can go online to schedule an appointment. 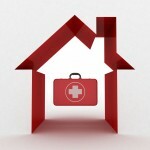 Medicare covers most home visits and house calls as long as they meet Medicare guidelines and are considered homebound. Please see this form from Medicare for more information.